As the midnight intrusion of cockroaches meandered across the kitchen floor, Tammy froze in fear and then screamed in horror as her bare feet refused to move on command, pinning her to the floor, neither arm able to reach the light switch that would have scared them all away. When the insidious creatures crawled first across her feet, then her ankles and up her calves, she reluctantly accepted the irony that after the coroner autopsied her half-eaten corpse, he would know that because roaches prefer dead and decaying matter, it was fear that had killed her long before any of the disgusting insects had taken their first bite. 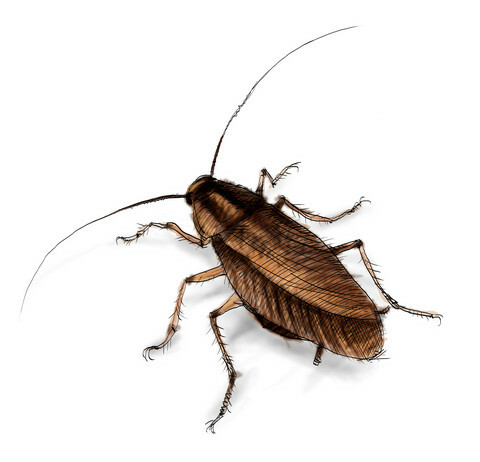 Author’s note: While it might seem that the word “intrusion” in the first sentence above was chosen simply as clever wordplay, the term is, in fact, the dictionary definition of a group of cockroaches. “creepy” is my one word comment….